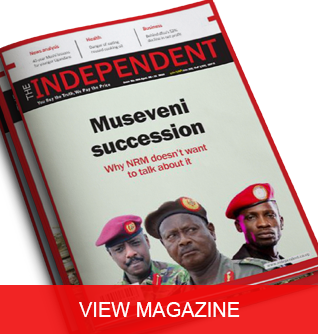 Kampala, Uganda | THE INDEPENDENT | Tourism Minister Professor Ephraim Kamuntu has admitted that the kidnap of an American tourist and a Ugandan tour guide was a result of a security lapse by officials of the Uganda Wildlife Authority. Kimberly Sue Endicott and her Ugandan tour guide Jean Paul Mirenge were last Tuesday kidnapped at gunpoint during an evening drive on Edward track between Katooke gate and Wilderness Camp in Kanungu district. Their captors demanded a $500,000 (1.8 billion Shillings) ransom. 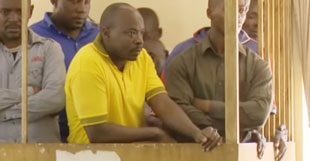 The duo was released on Sunday evening after what the Ugandan government describes as a joint rescue operation by its security agencies. 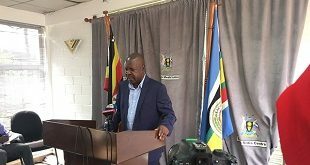 In a brief to the media in Masaka, Minister Kamuntu said that the kidnap from Queen Elizabeth National Park was due to a management lapse by the Uganda Wildlife Authority-UWA rangers who he says failed to guide the tourists on the appropriate times when such drives are done. 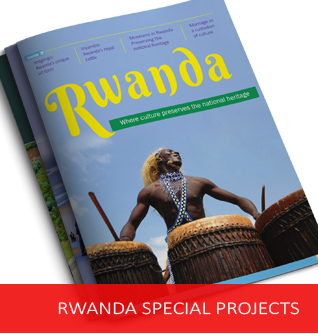 According to Kamuntu, the tourists arrived at the National park late in the evening and accordingly convinced the guides to take a night tour which is against the practices of their operation. He observed that by allowing to relax their guidelines, the UWA guides unsuspectingly fell into a trap. He describes this as an isolated incident which should not bother prospective tourists to the country. 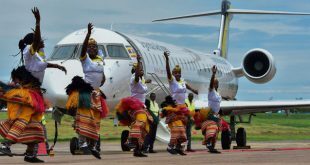 Kamuntu has also pleaded with both local and international tourists not to be scared by the incident, saying the national security agencies are ready to jointly provide them with the required security. 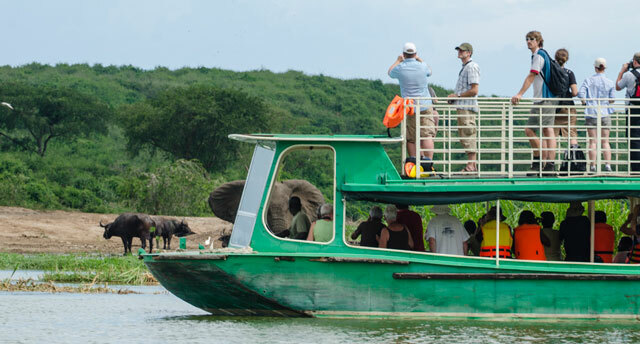 Sam Mwandha, the Executive Director of Uganda Wildlife Authority, says they have picked lessons from the incident, which are going to be translated into tasks to further improve the security in the national parks to guarantee the safety of the visitors. Meanwhile, the Inspector General of Police Martin Okoth Ochola was Monday due to hand over Kimberly to the US embassy in Nsambya. A convoy of US Embassy vehicles and police directors among others Assistant Inspector General of Police-AIGP, Abbas Byakagaba and Police Chief Political Commissar, Asan Kasingye, arrived at the police headquarters soon after midday. The convoy parked outside the IGP’s wing where Kimberly accompanied by three other officials from the US Embassy proceeded to IGP’s office for a meeting.Thereafter the convoy headed to te the US Embassy. Sources at police headquarters said among those waiting to receive Kimberly is an elderly couple, Martin Julius and his wife Barbel who were left stranded in Queen Elizabeth National Park when the kidnappers varnished with keys of the vehicle, which the group was using. Earlier, Police Spokesperson Fred EnangaEnanga denied claims that the kidnappers released Kimbley after receiving ransom from his family. “As police we don’t give ransom and if ransom was paid to kidnappers that can be clarified by his family,” Enanga said. Sources said Kimberly’s kidnappers received US $30,000 about Shillings 100m. According to sources, after receiving the money, the kidnappers called Wild Frontiers Safaris Uganda and directed its workers where to find Kimberly and Remezo. However, Enanga insisted that kidnappers released the victims after elite forces resolved to attack their hideout.